products, and conduct experiments effectively and efficiently. Discover how to improve the quality and efficiency of working systems with this highly-acclaimed book. This 6th Edition: Places a strong focus on the use of the computer, providing output from two software products: Minitab and DesignExpert. Presents timely, new examples as well as expanded coverage on adding runs to a fractional factorial to de-alias effects. 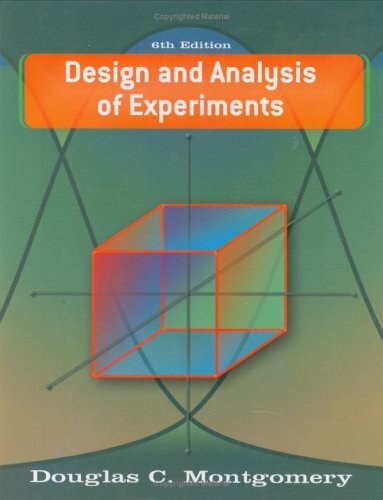 Includes detailed discussions on how computers are currently used in the analysis and design of experiments. Offers new material on a number of important topics, including follow-up experimentation and split-plot design. Focuses even more sharply on factorial and fractional factorial design.